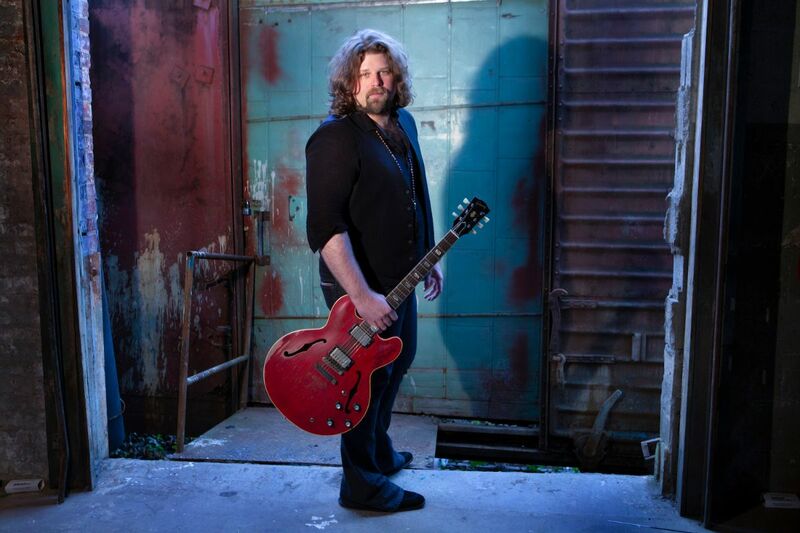 Revered guitarist/vocalist, JD Simo, has shared “You Need Love”, premiering the track exclusively on Guitar World. The bluesy track is the first single from his upcoming album, OFF AT 11, due out March 1, 2019. JD is currently on a national US tour, and when the tour hit NYC, JD and his band made a stop at Paste Magazine’s New York headquarters where he and his band, Andraleia Buch on Bass and Adam Abrashoff on drums, played soul blasting versions of tracks from OFF AT 11, as well as covers songs, including “Get By With a Little Help From My Friends” that nod to JD’s influences. Check out the full session here. The next leg of the tour brings JD and band to Europe opening for Tommy Emmanuel and then returning to the United States in April to open for the Allman Betts Band on their inaugural tour. JD and cohorts have gained a solid fan following from touring and opening for bands such as Blackberry Smoke, The Gregg Allman Band, Warren Haynes, Tommy Emmanuel and others. They have also held spots at Bonnaroo, Warren Hayne’s Christmas Jam and Mountain Jam since the formation of the band in 2010.